I always try to incorporate many stops into each trip to learn the area. That is why the high number of destinations. There is always something to stop and see. Sep. 1, 2009ReplyGreen BayRe: Packer fans tailgating at away games? 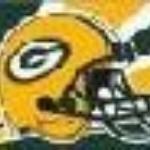 Aug. 22, 2009ReplyGreen BayRe: Running into Packers... what to expect? Jul. 9, 2009ReplyGreen BayRe: Need some hotel help? Travel like an expert, experience the world like a local.